Sharjah, 24 November, 2010: Sharjah Museums Department (SMD) has stressed the importance of preserving cultural heritage and its integration into the curriculum of higher education. Manal Ataya, Director General of SMD, announced the sponsorship support of Sharjah Museums Department for the 5th International Forum on Engineering Education (IFEE 2010), organised and hosted by the University of Sharjah from November 23 to 25, 2010, under the academic supervision of Professor Mufid Samari, Senior Advisor of the Sharjah Academy for Scientific Research. “The preservation of cultural heritage and the increased need for integration of this field of expertise into higher education is in line with SMD’s educational priorities in the area of museums and heratige,” said Manal Ataya. “Linking the university curriculum with cultural heritage in an interdisciplanary way is integral to further promote the importance of heritage for a sustainable future. Through the sessions at the event, we will emphasize the need for joint cooperation between professionals and academics to achieve common goals,” she added. 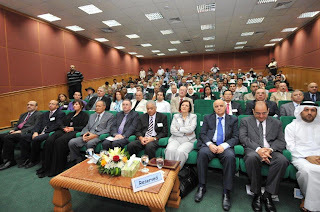 Two keynote presentations for the event were given by both Dr Rita Awad, Director of Culture, ALECSO (Arab League Educational, Cultural and Scientific Organization), and Dr Hassan Al Bassri, National University of Malasiya. Ataya chaired a session titled Intergrating heritage conservation in higher education; which included speakers Dr. Zaki Aslan, ATHAR Programme Manager, and Dr. Hossam Mahdy from the Abu Dhabi Authority for Culture and Heritage, Professor Mufid samarai, and Dr. Eman Assi, architect in the heritage department of Dubai Municipality. Professor Mufid Samarai in his capacity as the co-chair for the advisory committee was instrumental in conceiving the unique session on "Integrating Heritage in Higher Education". This is the first time the topic has been presented and discussed in the context of engineering at the annual forum. The speakers emphasized the need to provide continuous training and education in all fields of conservation, enhance the work of institutions to foster professional talent, and address capacity building and training requirements. 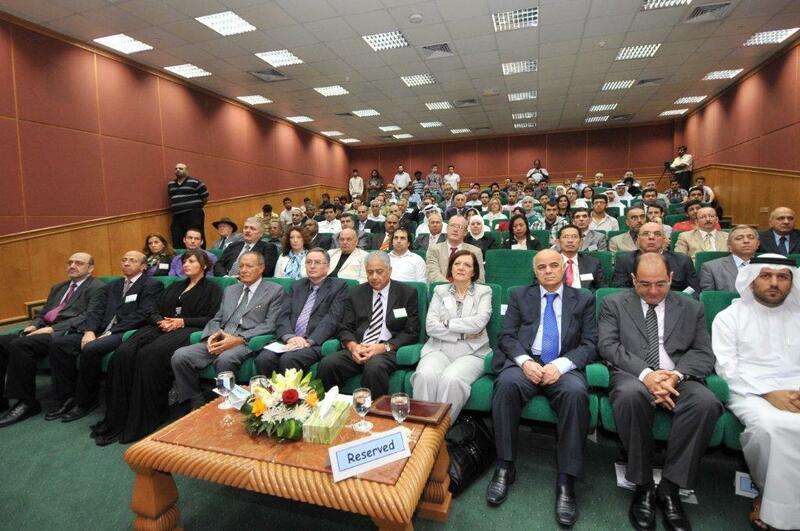 The international Forum aims to bring together engineering educators, professionals, students, policy and decision makers, and community stakeholders from around the world to contribute to the enrichment and advancement of engineering education in the region and to discuss research, studies, case-studies, practices, and in-depth views on specific topics and experiences.